This place cards would be a gorgeous addition to any outdoor or floral & nature themed wedding. 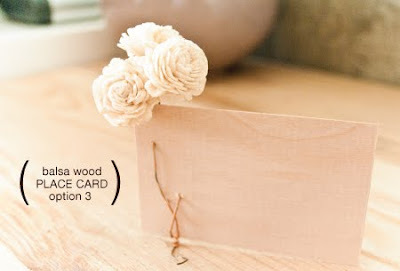 Full instructions for you DIY brides via peach mailbox. beautiful! :) :) very romantic! Very nice- crisp and simple. My wedding is long gone - but these would be AWESOME for a fundraiser dinner we're doing at my work! Thanks for sharing!